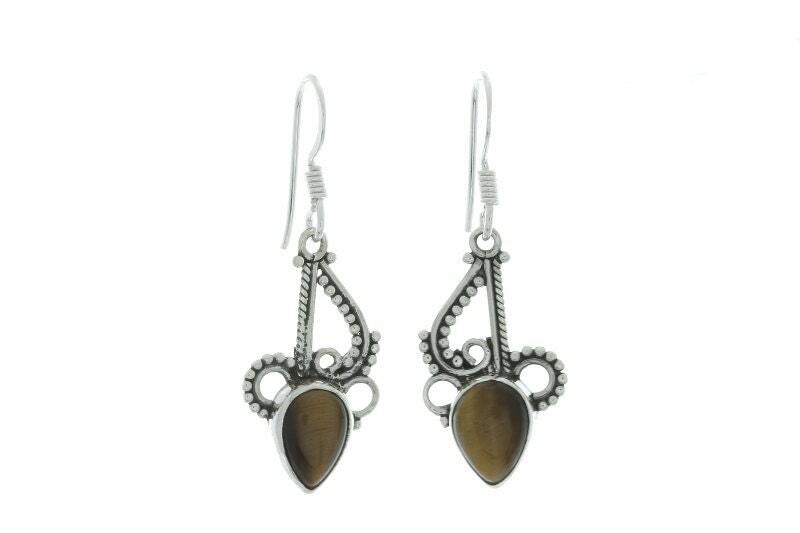 Sterling silver earrings with ornate design and tiger's eye stones. Tiger's eye is a stone for personal power, it is very stabilizing and grounding. Length With Hook: 1 1/2"